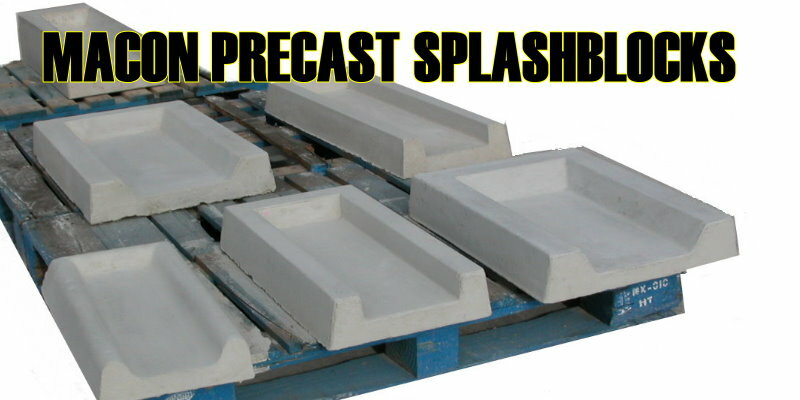 Macon Concrete manufactures a large assortment of splash blocks. Splash Blocks are placed under down spouts to allowed drainage control of rainwater. We custom make any size to meet your specific needs. Large or small, our standard sizes are used on most projects. Macon Concrete Products manufactures area drains or catch basins to direct runoff to another area.